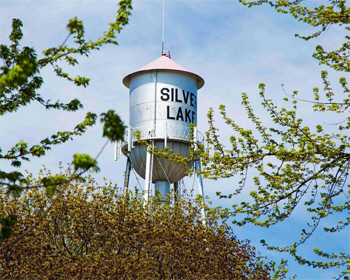 Silver Lake is a city in McLeod County, Minnesota. 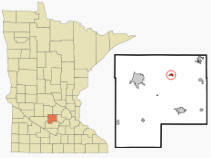 Minnesota State Highway 7 serves as a main route in the city. 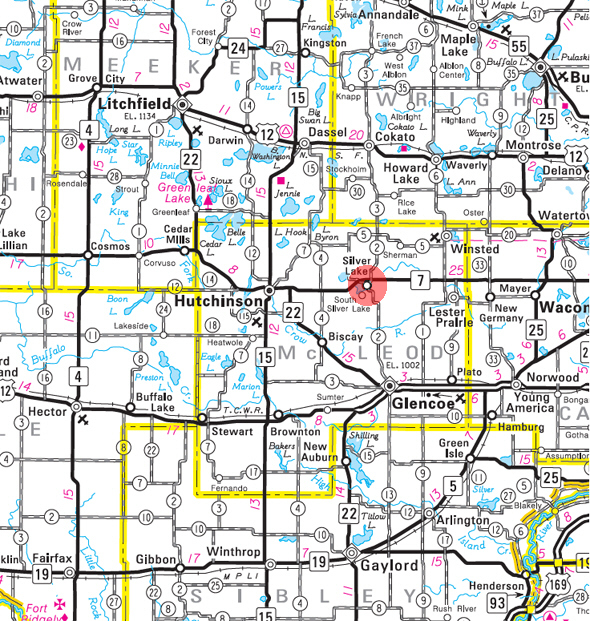 According to the United States Census Bureau, the city has a total area of 0.38 square miles (0.98 km2), all of it land. 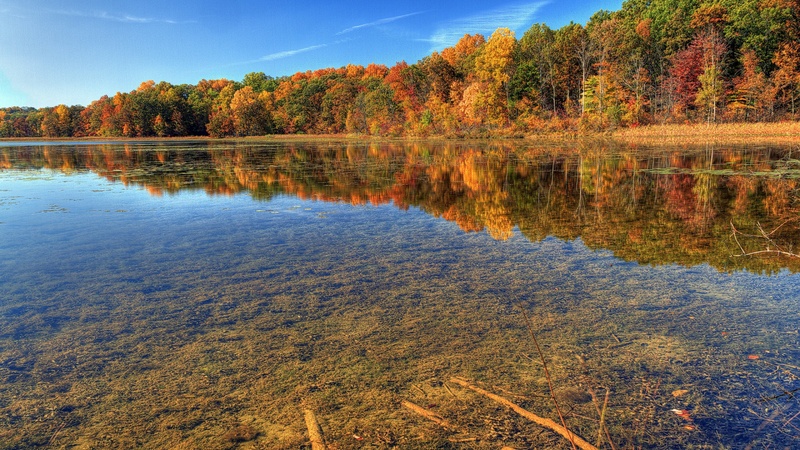 The elevation is 1,063 ft (324 m) above sea level. As of the census of 2010, there were 837 people, 352 households, and 214 families residing in the city. The population density was 2,202.6 inhabitants per square mile (850.4 /km2). There were 379 housing units at an average density of 997.4 per square mile (385.1 /km2). The racial makeup of the city was 99.4% White, 0.2% Asian, and 0.4% from two or more races. Hispanic or Latino of any race were 1.4% of the population. There were 352 households of which 31.0% had children under the age of 18 living with them, 48.0% were married couples living together, 7.1% had a female householder with no husband present, 5.7% had a male householder with no wife present, and 39.2% were non-families. 31.5% of all households were made up of individuals and 13.1% had someone living alone who was 65 years of age or older. The average household size was 2.38 and the average family size was 3.04. The median age in the city was 35 years. 24.7% of residents were under the age of 18; 9.1% were between the ages of 18 and 24; 31.4% were from 25 to 44; 20.7% were from 45 to 64; and 14.1% were 65 years of age or older. The gender makeup of the city was 51.1% male and 48.9% female. 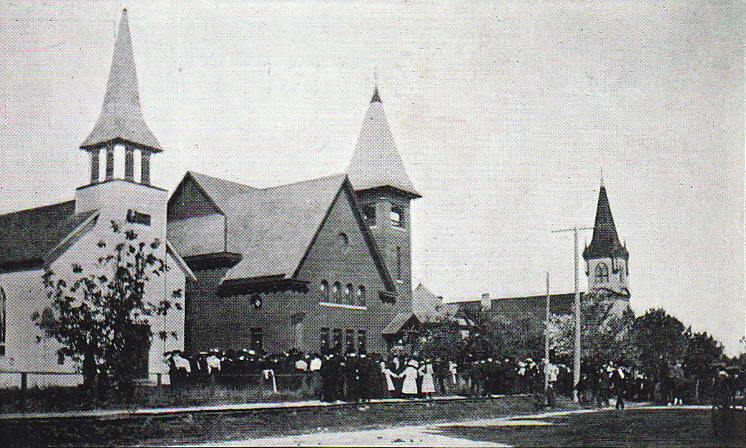 SILVER LAKE, a city in sections 33 and 34 of Hale Township platted in 1881 and incorporated on December 23, 1889, is situated at the north side of Silver Lake. It was settled primarily by Czechs and Poles. 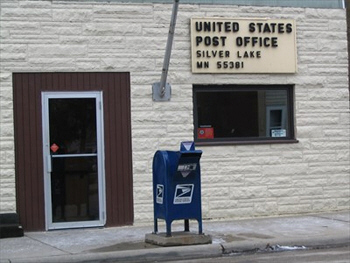 Its post office was established as Fremont in Hennepin County in 1856 and transferred to McLeod County in 1859, continuing until 1861; a farm post office was established in 1867 as Silver Lake, and the site was called Fremont until the general store was built in 1881, at which time the townsite was laid out as Silver Lake; the farm post office moved a number of times; it had a station of the Minneapolis and St. Louis Railroad.